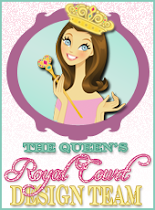 Did you see The Queen's new Challenge Blog..
your way around the castle. Congratulations on making both DTs. I can't wait to work with you over at Cardz TV Stamps! Congratulations to the Queen and Her Royal Court at the castle! Cannot wait to see what you and your Court cook up for both Design Teams! Woo Hoo! Congratulations to the Queen! I am looking forward to working with you. WOW the Queen is going to be busy busy!! Congrats on making the first ever Cardz TV DT, too. Look forward to seeing your designs and working with you. 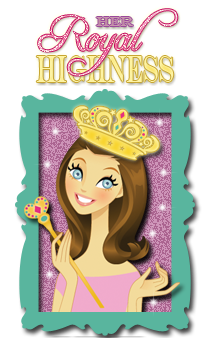 So excited to have you on the Cardz TV Design Team, Your Majesty! Congrats on being a Sweetie too...but you've always been a sweetie in my book! Congratulations on making Mary's DT. I can't wait to get to know and work with all of you. What an honor. Congratulations from one Queen to another! Can't wait to work with you! congrats T, you totally deserve it!!!! Congratulations, Hil to the Queen! Congratulations on your DT spot on Mary's team. I m sure you will do a wonderful. job.